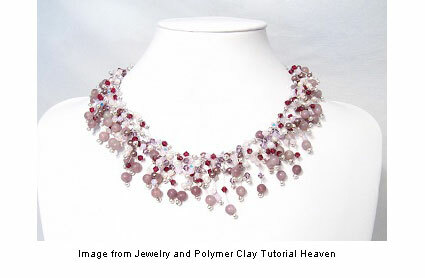 Check out this beaded necklace from Jewelry and Polymer Clay Tutorial Heaven. The clusters of beads remind me of falling bursts of fireworks. This tutorial called “Sparkling Crystal Feathers” might be the perfect piece to complete your New Year’s Eve attire! That’s really a beautiful necklace. I’d like to try making one of those. Thanks for the tutorial!